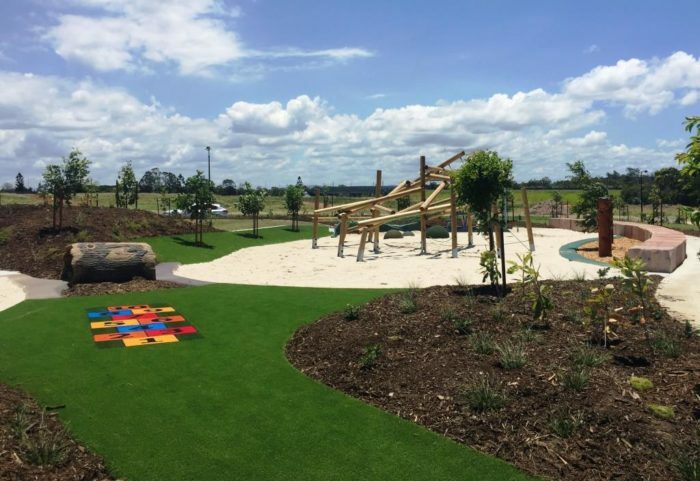 Our team worked closely with Element Design to deliver this fantastic new playspace in Aspire Griffin, a new Fairland development. Engaging on so many levels, the Jungle Climbers range from Playdale was a natural choice for this setting with the intent to blend in with a natural environment. Children have the opportunity to challenge their own skills and bravery with graduated challenge that improves motor skills and develops physical and coordination ability. 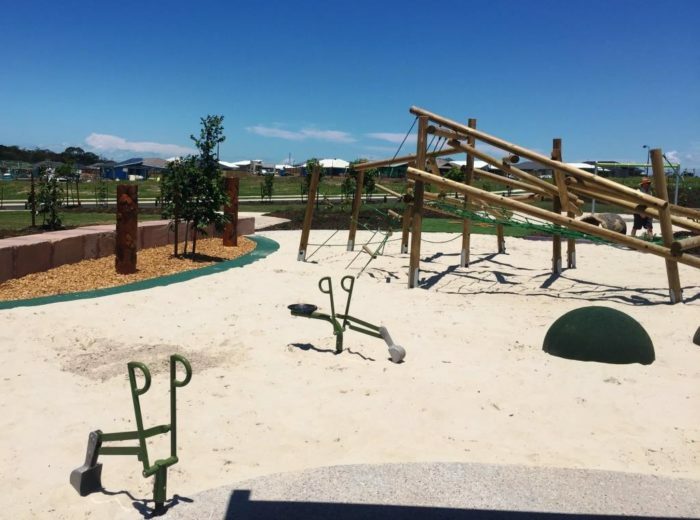 Additional independent play items were incorporated with an accessible superscoop and superscoop diggers to play in the sand, along with hidden dinosaur treasures to be found in the sand softfall. 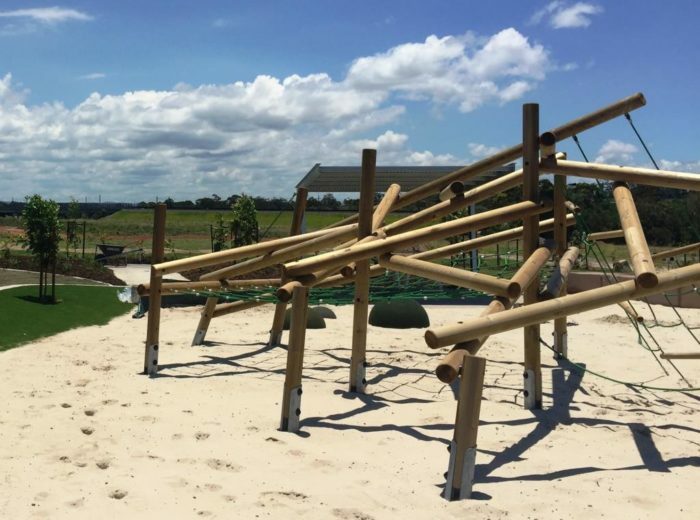 The single post swing with toddler and strap seats is a playground essential and the double embankment slide allows friends and siblings to race up and down and interact together. 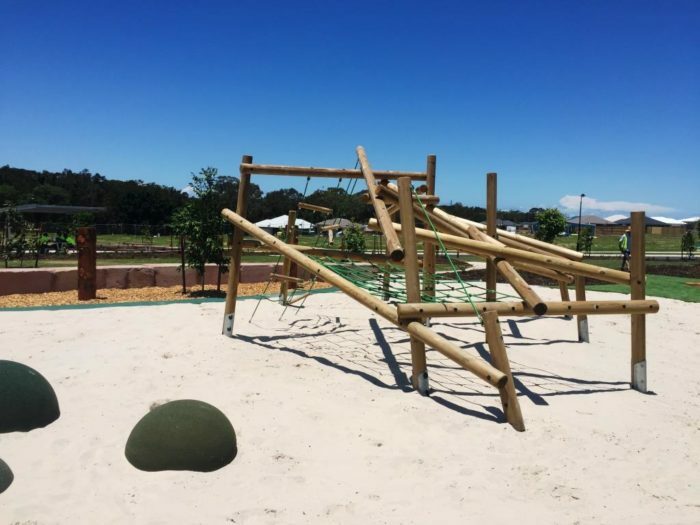 Connecting the two play areas in our glass fibre reinforced crawl tunnel – with the look and feel of a real hollow log – adding to the adventure, discovery and imagination play in this playground. The overall space has allowed for scooter fun in in this “streets are quiet enough for a game of cricket” estate, with extra wide curbing and rubber coating – inviting chasing and a host of games. An extra wide sandstone wall provides a balance opportunity, informal seating and has hidden resin troll features in them too. And to complete the experience, custom hand carved totem poles have been included to offer both a visual and tactile treat in the garden beds. 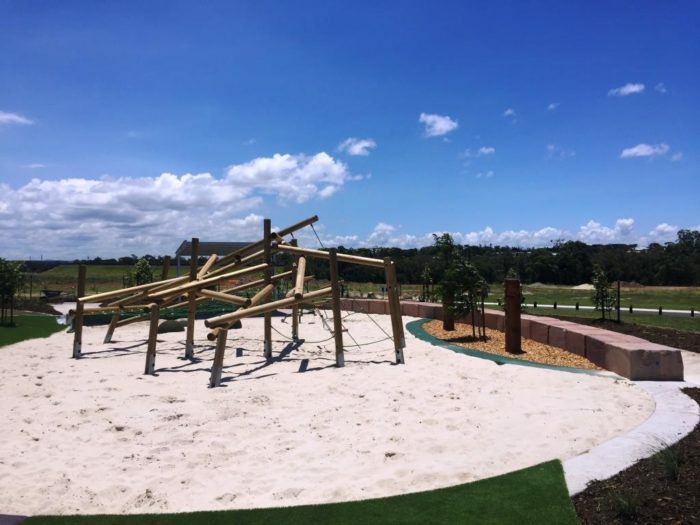 This playspace is sure to keep the younger residents of this new development healthy, active and inspired outdoors – promoting a sense of community (and of course, having fun! ).